As a cohousing development, Marmalade Lane will be a real community – a place to know and be friends with your neighbours. And as well as superb energy-efficient, architect-designed modern homes, residents will benefit from extensive shared facilities and a large shared garden. Cohousing is a way of life in which residents not only get to know their neighbours and enjoy a real sense of community, but jointly manage their living environment together. As well as their own private home, each resident household benefits from shared spaces and facilities that enrich the living experience and encourage a more social way of life. 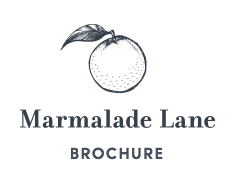 As a cohousing development, Marmalade Lane is the product of an innovative design process in which members of K1 Cohousing, drawn from all ages and backgrounds, have been involved from the outset. All residents are members of Cambridge Cohousing Ltd, have a stake in the common parts and contribute to the management of the community. 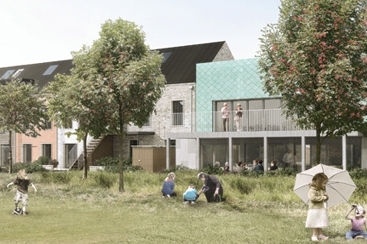 The growing membership of K1 Cambridge Cohousing comes from all ages and walks of life and includes families with young children, retired couples and young professionals. It includes people of 11 nationalities, longstanding Cambridge residents and people relocating from elsewhere. Visit the K1 Cambridge Cohousing website to find out more about Marmalade Lane’s future residents. 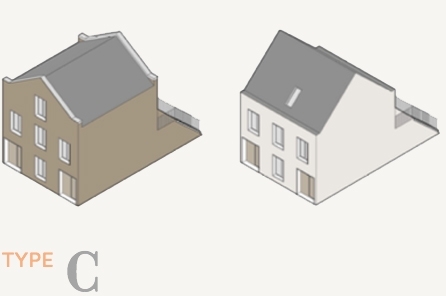 The growing membership of K1 Cambridge Cohousing comes from all ages and walks of life and includes families with young children, retired couples and young professionals. It includes people of 11 nationalities, longstanding Cambridge residents and people relocating from elsewhere. Marmalade Lane is laid out in terraces creating attractive, people-friendly streets to the front with lovely gardens behind. Car parking is kept to the periphery and bins in communal stores, conserving the outside space for people’s enjoyment. Homes are contemporary versions of the townhouses and low-rise apartments traditional to Cambridge, and are finished in one of four brick colours with generous porches, balconies and private gardens. As well as 42 exceptional private homes, Marmalade Lane offers a mix of shared facilities unique and essential to cohousing. The common house provides a place for residents to socialise, host guests and eat together. It includes a large kitchen, lounge with wood-burning stove, laundry facilities, children’s play room and flexible spaces for meetings and wellbeing classes. It also includes guest bedrooms, bookable by residents. A workshop provides a place for hobbies. At the centre of the development is a large, shared, south-facing garden that has been beautifully landscaped to incorporate retained mature oak trees and areas for relaxation, play and food-growing. The Lane, a linear pedestrian street through the development, encourages neighbourly interaction. 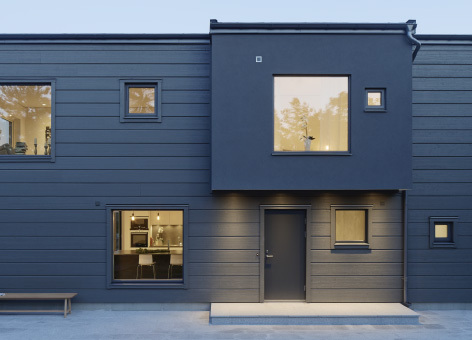 Marmalade Lane uses sustainable raw materials, passive energy design principles and the impeccable build quality of the Trivselhus Climate Shield™ building system to produce homes that are highly energy efficient, economical to run and maintain, and have a small environmental footprint. 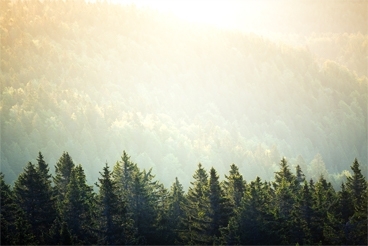 Trivselhus homes are precision-made in Sweden from slow-grown timber from sustainably-managed forests where three trees are planted for every one harvested. Triple-glazed, argon-filled and aluminium-clad windows are factory-fitted into wall panels for maximum airtightness and excellent soundproofing. All properties at Marmalade Lane benefit from mechanical ventilation and heat recovery (MVHR) systems which deliver clean air whilst reducing heat loss, and renewable energy generated by air-source heat pumps. All homes are guaranteed by a ten-year Checkmate warranty. Living with a small environmental footprint is part of the ethos of cohousing, and reducing energy use in buildings is just one aspect. Marmalade Lane is superbly located next to a stop on the Cambridgeshire Guided Busway and close to a nexus of important cycle ways which provide fast and direct access by sustainable travel modes to Cambridge city centre (15 minutes by bike), the new Cambridge North railway station (10 minutes by bike) and other destinations. The major education and employment hubs of Cambridge Regional College and Cambridge Science Park are within a short walk. Within Marmalade Lane, there is enough secure cycle parking for all residents. Communal bin stores provide for easy recycling, and the shared garden includes extensive space for residents to grow fruit and vegetables and compost food waste, and sustainable drainage areas to manage rainwater run-off. Close to a nexus of important cycle ways which provide fast and direct access by sustainable travel modes. Homes at Marmalade Lane benefit from generous proportions, high ceilings, large windows and bright, open-plan living areas. All have private gardens or balconies. 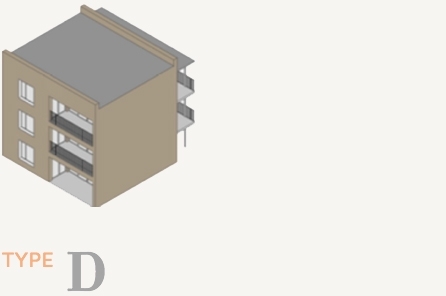 Residents will have access to car parking (one allocated space per dwelling) and secure cycle parking. Available in three and four bedroom layouts, a 108m2, three-storey terraced house with engineered solid-wood flooring to living areas, underfloor heating, family bathroom* plus downstairs WC, front and rear gardens. Available in three and four double-bedroom layouts, a 123m2, three-storey terraced house with engineered solid-wood flooring to living areas, underfloor heating, two bathrooms* plus downstairs WC, and front and rear gardens. Available as a ground-floor 51m2 one-bedroom home (first-floor 61m2 two-bedroom units are currently all reserved), these paired flats have their own front doors, private garden or balcony and family bathroom. A 75m2 two-double-bedroom apartment with large west-facing balcony or terrace, accessed via a secure shared lobby with lift. Each apartment benefits from a large family bathroom and private secure storage. Marmalade Lane is located in the modern Orchard Park area of north Cambridge. There is fast, direct access to the city centre and the new Cambridge North railway station via the Cambridge cycle network and the Cambridgeshire Guided Busway. Orchard Park is close to Junction 32 of the A14. Is there a service charge or ground rent on the property? An annual service charge will be levied by Cambridge Cohousing Ltd to cover the management and upkeep of the shared facilities. This will be set annually and is estimated to be in the range of £350pa to £420pa. The first year’s charge will be £1,000 higher for every property to help equip shared facilities. Apartments will be subject to an additional annual charge, estimated at £400, for buildings insurance. 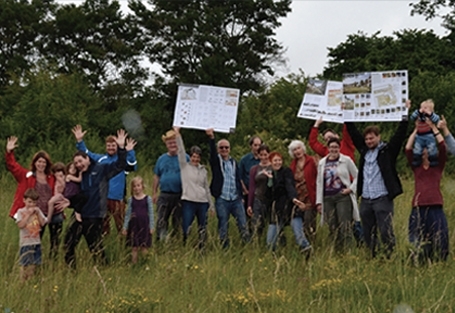 What does membership of Cambridge Cohousing entail? 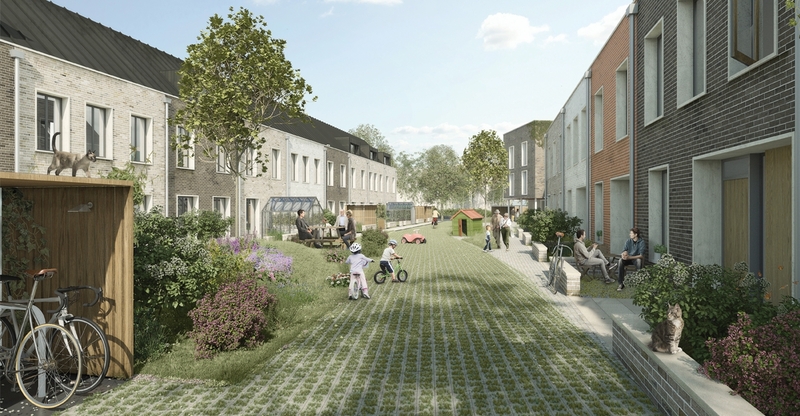 To make sure the community is owned and managed by those who will live there, everyone reserving a property is asked to become a member of Cambridge Cohousing Limited, a company limited by guarantee, which will be the management company for Marmalade Lane. When a property is sold in the future, the new owners will also be required to become members. Membership gives voting rights and the extent of an individual member's liability in the event the company is wound up is limited to £1. Each household is also expected to nominate one person as a director of the Company to make sure each household has an equal say in important decisions, like agreeing the budget and setting the service charge. What membership fees are payable? • a one-off membership fee of £250, to contribute to the costs of meetings, training, open days and social events in the run-up to occupation of Marmalade Lane in 2018. The above fees are per property, not per person. If a reservation is withdrawn, the investment fee is non-refundable unless a replacement investment fee is obtained from a subsequent purchaser. In this case, a refund will usually not be made until after completion of the sale of the property to that purchaser. The one-off membership fee is non-refundable. No investment or membership fee is payable by purchasers when properties are sold on. Will there be any constraints if I wish to sell my property in future? Once Marmalade Lane is fully occupied, a waiting list of prospective future residents will be maintained. 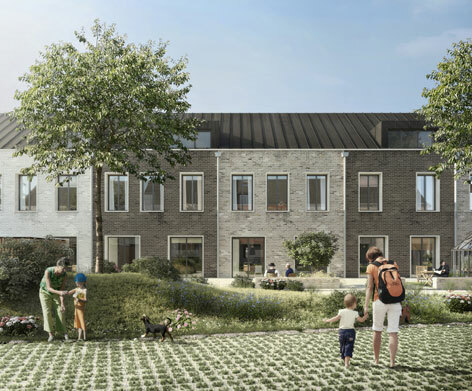 When a resident wishes to sell a property, they will be required to give Cambridge Cohousing Ltd eight weeks to offer it to the waiting list at full market value before it may be sold on the open market. 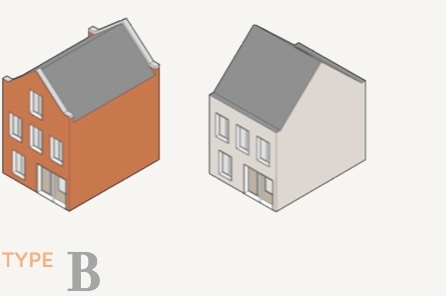 There is no requirement for future purchasers to be approved by Cambridge Cohousing Ltd. The information contained on this website is for general guidance only. 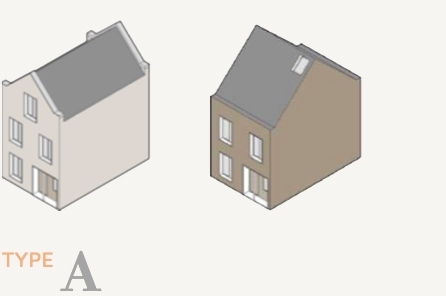 The computer-generated images are intended to give an indication of what properties will look like in a mature setting but are not necessarily representative in every respect. Purchasers are advised that floor layouts etc. may vary from plot to plot and the vendor reserves the right to alter these details at any time and without prior notice. Some of the interior photographs shown are from typical TOWN or Trivselhus homes and are not necessarily representative of the specification included at this development. Us contacting you about Marmalade Lane, Cambridge.